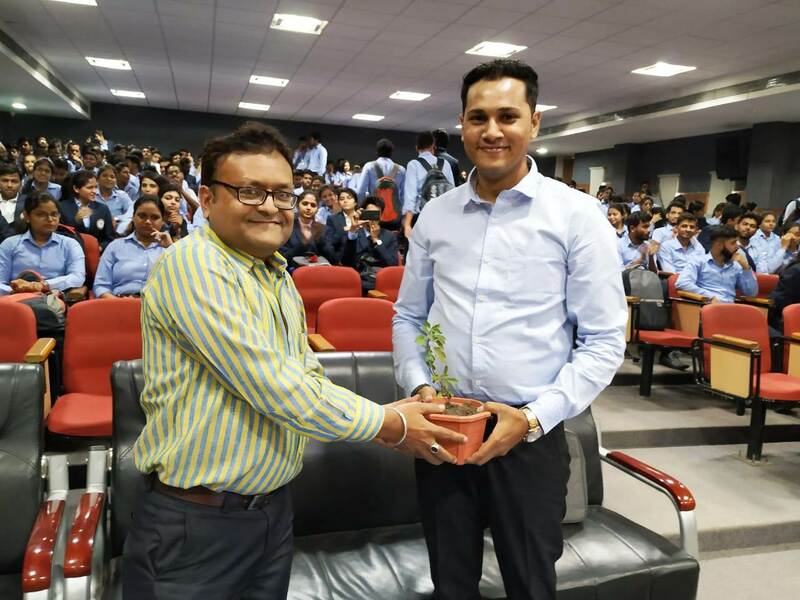 An interactive session of Mr. Mirza Faaiz Ali, Alumni of Batch 2012-14 was organized on 20th Nov 2018. He addressed the students, telling his story of how, being a member of the E-Cell had transformed his life from being just an MBA student to a successful Entrepreneur. Mr. Ali is an entrepreneur who owns three ventures namely ECOAiR (air coolers), ArchCons (building construction and architectural consultation) and Dreams Craft Private Limited. The third venture that was established in 2011, deals with manufacturing of lifestyle products and artifacts made out of Fibre Reinforced Plastic. The company also provides event management services. He was an active member of E-Cell while doing his MBA. 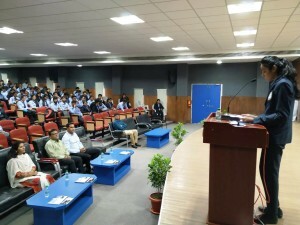 He joined National Entrepreneurship Network and is also a member of Indore Entrepreneurship Network. He won TATA FIRST DOT powered by NEN jury’s choice award for best entrepreneur for his venture Dreamscraft Pvt. Limited in 2013, i.e when he was studying in the second year of MBA. He hails from a Business family; still he wanted to establish his own identity as an entrepreneur. He narrated an interesting story of how he arranged for the college Fee by designing his friend’s room. 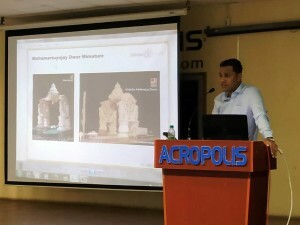 He showed photographs of his architectural works, done for his clients ranging from Private client works, ISBT (Bhopal), sets made for the Bollywood movie Himmatwala to mass production miniatures. 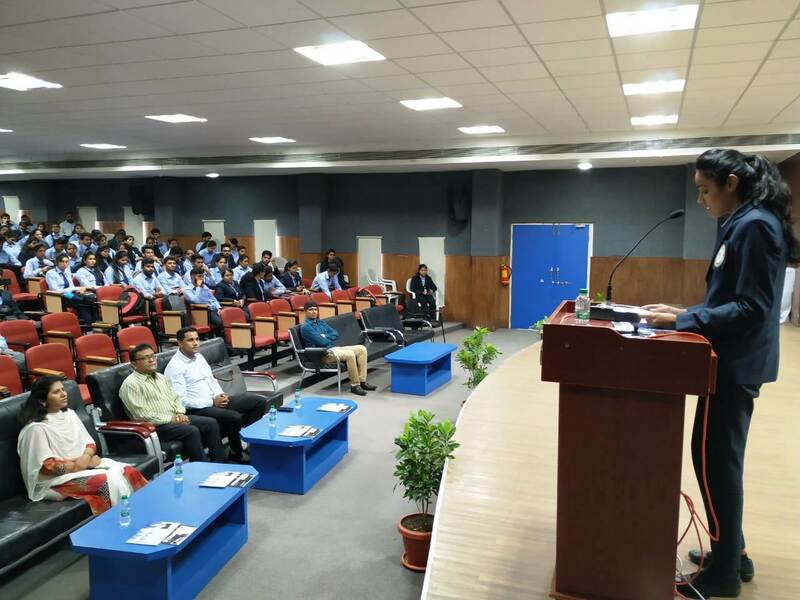 He specially thanked E-Cell faculties namely Prof. Atul Bharat and Prof. Anupama Modi, for their constant support and guidance in making him reach these heights. 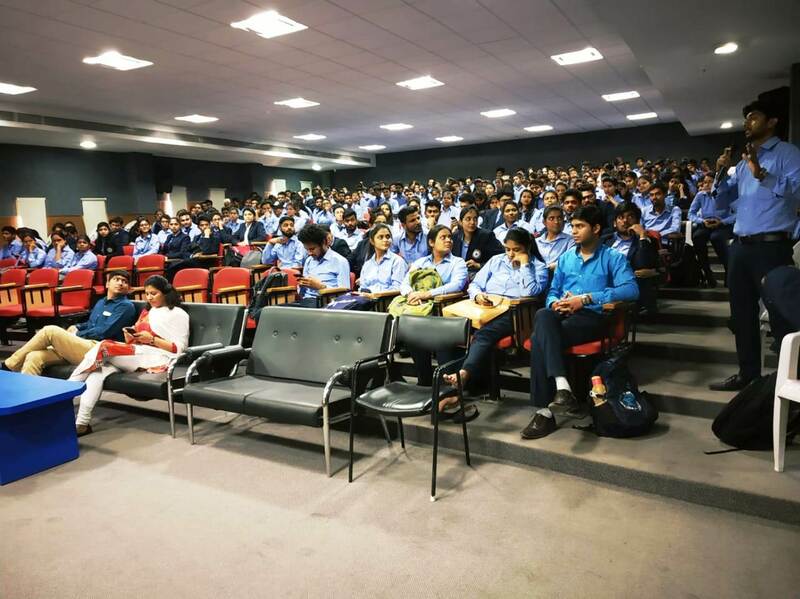 His session was followed by a Q & A session, wherein students asked him about the challenges and risks faced by him in his journey. He also replied to the doubts of the students on how to take the first step towards business. It was really interesting to listen to his success story.